Whilst corruption and organized crime have been widely researched, they have not yet been specifically linked to sport. Corruption, Mafia Power and Italian Soccer offers an original insight into this new research area. Adopting a psycho-social approach based mainly on Pierre Bourdieu's praxeology, the book demonstrates that corruption and the mafia presence in Italian soccer reflect the Italian socio-political and economic system itself. 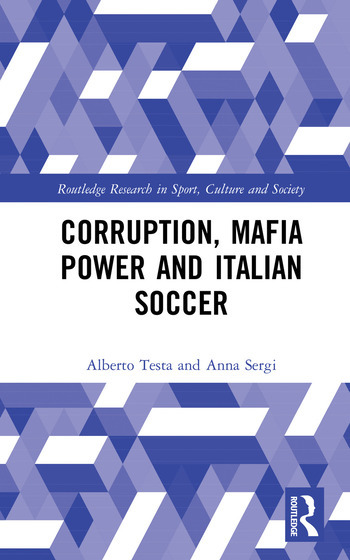 Supported by interviews with security agency officials, anticorruption organisations and antimafia organisations, and analysing empirical data obtained from a case study of 'Operation Dirty Soccer', this important study explains why mafia groups are involved in soccer, what the links are to political corruption and what might be done to control the problem. It also examines the mechanisms that make it possible for mafia groups and affiliates to enter the football industry and discusses how mafia groups exploit and corrupt Italian football. This is important reading for undergraduate and postgraduate students, researchers and academics working in the areas of sociology, criminology, policing, anthropology, the sociology of sport, sport deviance, sport management and organised crime. It is also a valuable resource for practitioners in the football industry. Alberto Testa is Associate Professor in Criminology at the University of West London, UK, and a visiting Senior Research Fellow at the SportcomLab of the University of Bologna, Italy. Anna Sergi is Lecturer in Criminology and Deputy Director of the Centre for Criminology at the University of Essex, UK. She is an International Visiting Fellow at the University of Melbourne, Australia, and Chair of the Early Career Researchers Network of the British Society of Criminology.